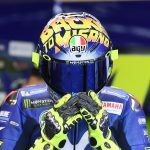 Valentino Rossi unveils 2018 Misano helmet design ahead of the San Marino GP. 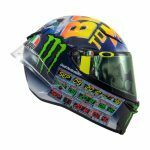 Following tradition, Valentino Rossi headed back to the track with a special new look for his AGV Pista GP R to celebrate the Grand Prix at the Misano World Circuit near his home. 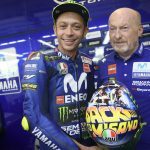 Inspired by the movie, Back to the Future, this year’s theme is Back to Misano, celebrating Rossi’s return to the circuit located in Emilia-Romagna. 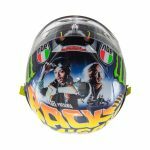 AGV and nine-time World Champion Valentino Rossi celebrated the return to Misano with a new graphic inspired by the artwork for the famous film, Back to the Future Part II. 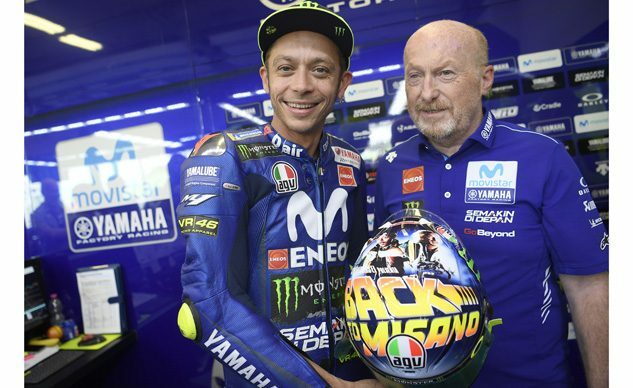 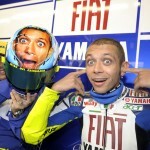 The faces of Valentino and Silvano Galbusera, his crew chief since 2013, replace those of Marty McFly and Doc. 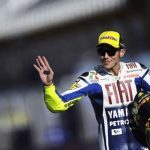 The duo have been catapulted back to the circuit after 2017’s forced absence, when Rossi had to forfeit just days before the event. 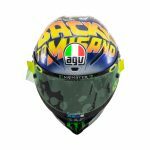 The top of his Pista GP R, the top-of-the-line helmet from the AGV racing range, showcases the lettering “Back to Misano” in large yellow and orange script as a nod to the Misano World Circuit Marco Simoncelli, Rossi’s home base. 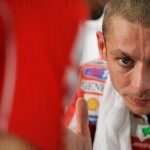 The forehead features the Italian shield of the AGV logo, a standout detail that has shown Valentino through more than 20 years of his incredible career. 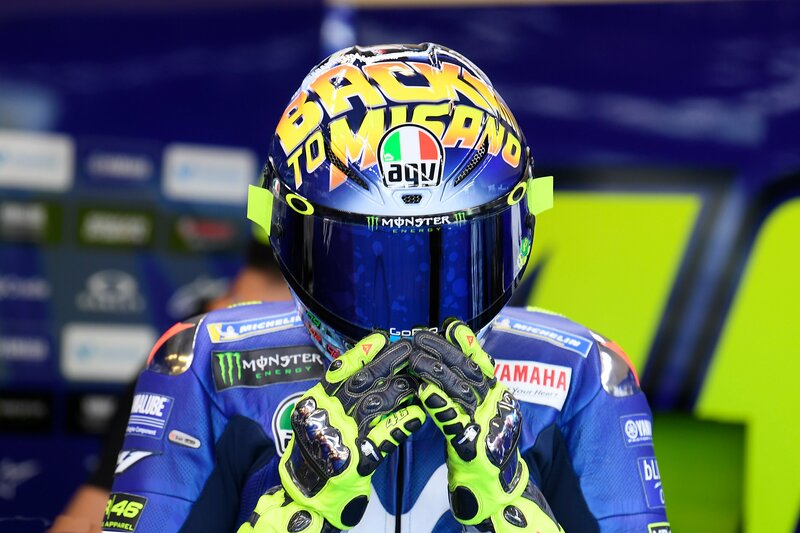 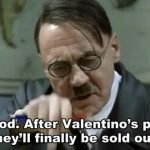 Additional movie references appear the helmet’s right panel, featuring the date of Valentino’s last appearance in Misano, in addition to the current date. 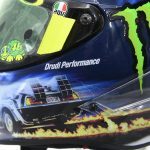 The left side shows off a DeLorean, the car that the characters used to travel through time thanks to the flux capacitor, represented on the back of the Pista GP R.
The perfect blend of protection, performance, and comfort, the Pista GP R is the the pinnacle of AGV Extreme Safety. 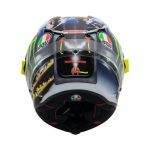 An innovative integrated design protocol, it revolutionizes the planning process, allowing for improved helmet performance in terms of impact protection, peripheral vision, design, weight, aerodynamics, ventilation, and ergonomics. 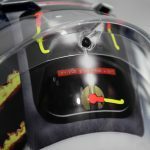 The innovative AGV Extreme Safety process raises the bar for technology in helmet research and development, making it a milestone in head protection systems.